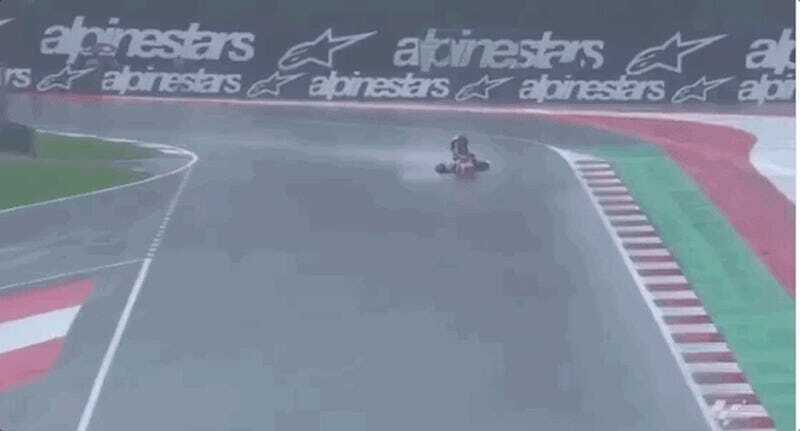 The Moto2 race at the MotoGP Austrian Grand Prix was a wet one, which makes for dicey conditions. 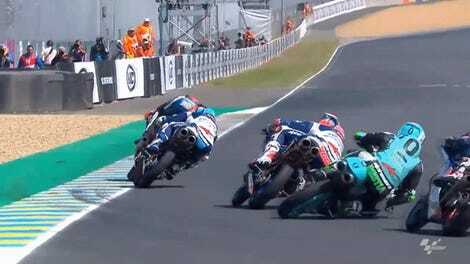 It could have been even dicier for rider Tetsuta Nagashima, whose bike saw its rear end completely snap around on him. That could’ve been a big shunt for Nagashima, but apparently he knows how to surf instead. As soon as the bike starts to flip, Nagashima gets his knees on top of it and was able to just ride the whole thing out until he was safely on the grass. Even then, it looked kind of iffy, but Nagashima got up and seemed to be alright. And they say multi-sport athletes don’t exist anymore. Feh!